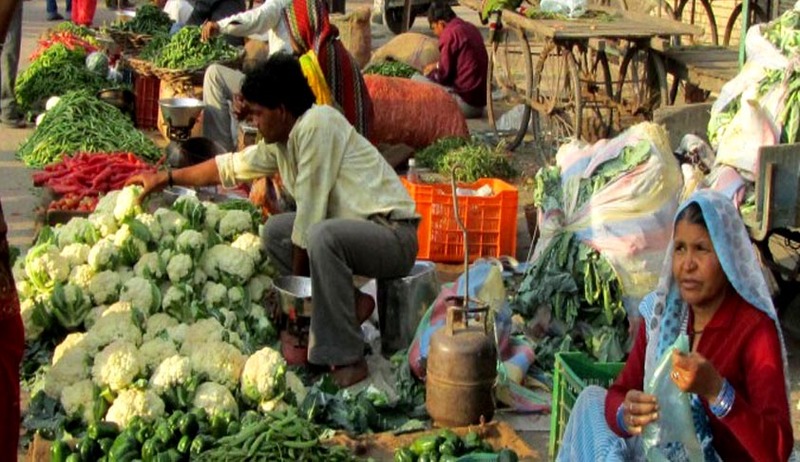 The Street Vendors (Protection of Livelihood and Regulation of Street Vending) Bill, 2014, which provides protection of livelihoods rights, social security of street vendors, regulation of urban street vending in the country and for matters connected therewith or incidental thereto, has been passed by the RajyaSabhaby a voice vote and without discussion. The Bill received LokSabha’s consent last year on September 6. Once the Centre seeks the president's sanction to make it a law, the approved bill will be duly notified and implemented. The bill legalizes street vending activities, ensuring urban street vendors' safety from police harassment. Presently there are almost 16,000 licensed hawkers in Mumbai. After the Supreme Court order the BMC, worked towards legalization by setting up a town vending committee comprising of 30 members including the hawkers' union and resident associations along with NGOs and officials from planning authorities like the MMRDA and traffic police. Besides aiming towards creation of a favorable atmosphere where street vendors will be eligible to carry out their business in a fair and transparent manner, without fear of eviction and harassment, the Street Vendors Bill also aims at protecting the rights of the urban street vendors and regulating street vending activities. The bill also provides for constitution of a Town Vending Authority in each Local Authority to ensure participatory decision making for features like determination of natural market, identification of vending zones, preparation of street vending plan and survey of street vendors among others. It is obligatory for TVC to have representation of officials and non-officials and street vendors, including women vendors with due representation from SC, ST, OBC, minorities and persons with disabilities, so as to ensure participatory decision making for aspects relating to street vending activities like determination of natural market, identification of vending zones, preparation of street vending plan, survey of street vendors etc. It has been provided that 40 percent members of the TVC will be from amongst street vendors to be selected through election, of which one-third shall be women. In order to avoiduncertainty of authorities, the Bill provides for a survey of all existing street vendors, and subsequent survey at-least once in every five years, and issue of certificate of vending to all the street vendors identified in the survey, with preference to SC, ST, OBC, women, persons with disabilities, minorities etc. All existing street vendors, identified in the survey, will be accommodated in the vending zones subject to a norm conforming to 2.5 percent of the population of the ward or zone or town or city. The Town Vending Committee (TVC) is required to carry out a draw of lots for issuing the certificate of vending for that vending zone and the remaining persons will be accommodated in any adjoining vending zone to avoid relocation, in case where the numbers of street vendors identified are more than the holding capacity of the vending zone. Those street vendors who have been issued a certificate of vending/license etc. before the commencement of this Act, they will be deemed to be a street vendor for that category and for the period for which he/she has been issued such certificate of vending/license. It has been provided that until the survey has been completed and certificate of vending issued to the street vendorsno street vendor will be evicted.As the mechanism is to provide universal coverage, by protecting the street vendors from harassment and promoting their livelihoods, therefore, in case a street vendor, to whom a certificate of vending is issued, dies or suffers from any permanent disability or is ill, one of his family member i.e. spouse or dependent child can vend in his place, till the validity of the certificate of vending. Specifications have been made for the procedure for relocation, eviction and confiscation of goods. To promote a helpful environment and suitable space for urban street vendors to carry out their vocation, the local authority is required to make out a plan once in every 5 years, on the recommendation of TVC. The Bill thus, provides for adequateprotections to protect street vendors’ interests. Natural locations where there is a continuouscrowd of buyers and sellers will be protected under the Bill. There is a provision for establishment of an independent dispute redressal mechanism under the chairmanship of retired judicial officers to maintain impartiality towards grievance redressal of street vendors. The Bill also provides for time period for release of seized goods, for both perishable and non-perishable goods. The Bill also provides for marketing measures to be started by the Government, towards availability of credit, insurance and other welfare schemes of social security, capacity building programmes, research, education and training programme etc. for street vendors. According to Section 29 of the Bill street vendors will be protected from harassment by police and other authorities and there isaprime clause to ensure they carry on their business without the fear of harassment by the authorities under any other law. To prevent delay in implementation, the billparticularly provides that the Rules under the Bill have to be notified within one year of its commencement, and Scheme has to be notified within six months of its commencement.